A question I have been asked many times is where do I find all my coupons? Here are some places that I find my coupons, but always keep your eyes peeled for them! These have your best coupon inserts in them. I would suggest buying at least one newspaper a week. You may find that you eventually want to buy a couple of newspapers a week to start stockpiling. Be sure to buy the most popular newspaper in your state. 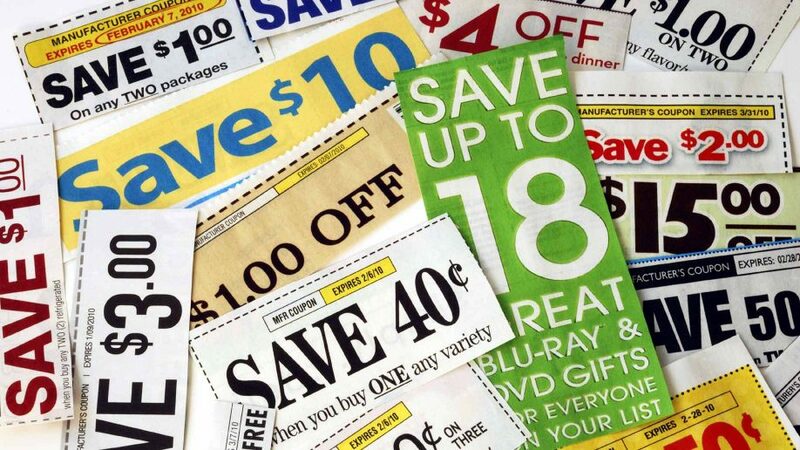 While your local newspaper may have coupons inside, the more popular newspaper will likely receive better inserts. Always check anything wrapped in plastic in a package and the inside/outside of the box. Additionally, sometimes you will find coupons already stuck to the products you’re already buying! Please don’t take these coupons (known as peelies) if you are not immediately purchasing the product. When you sign up for samples, newsletters, or other freebies, many times they will send a coupon with it. Look closely in or around the packaging for a coupon. Walgreens always has a monthly coupon booklet, and usually, there are coupons in the Diabetes and You magazine. Many other stores also have coupon booklets available. If you don’t see any in the store, be sure to ask at customer service! Besides insert coupons, sometimes you can find coupons in Parade magazine, or in the actual print pages of the newspaper. Many grocery stores have ‘blinkies’, coupon dispensers that blink, near products. These coupons can be used at any store. These are coupons that you can tear off that are usually located near a product. These are usually manufacturer’s coupons that can be used at any store. Please do not take the whole tearpad! The beauty advisors at my Walgreens are very generous with coupons! They have tons of coupons for personal care items; all you have to do is ask for one or two.